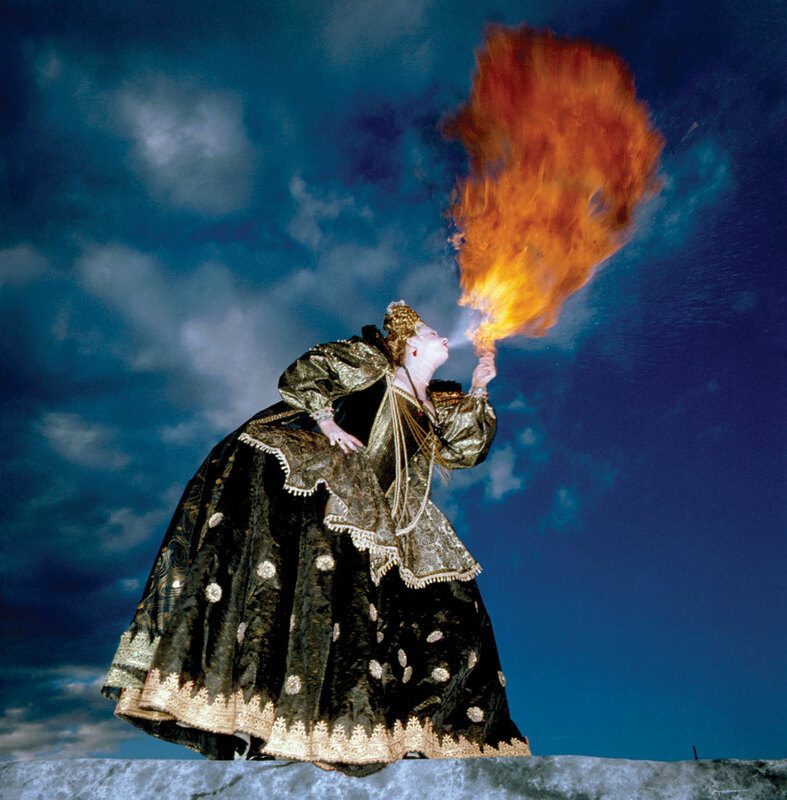 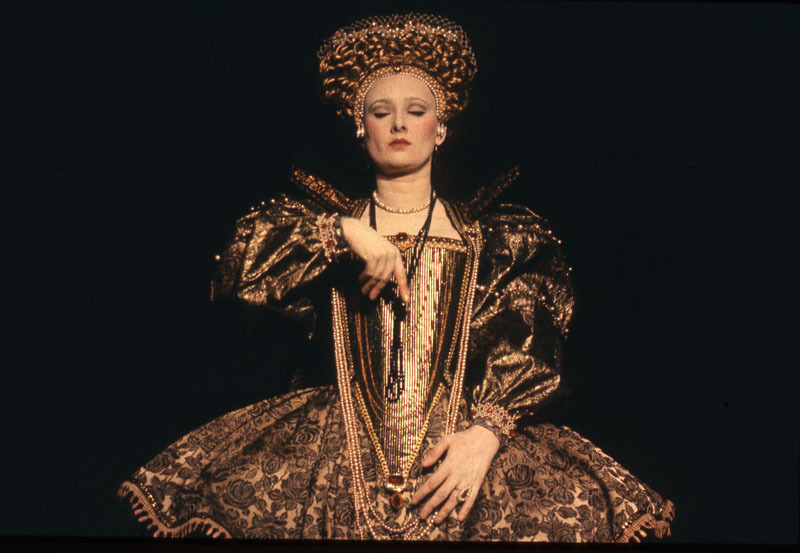 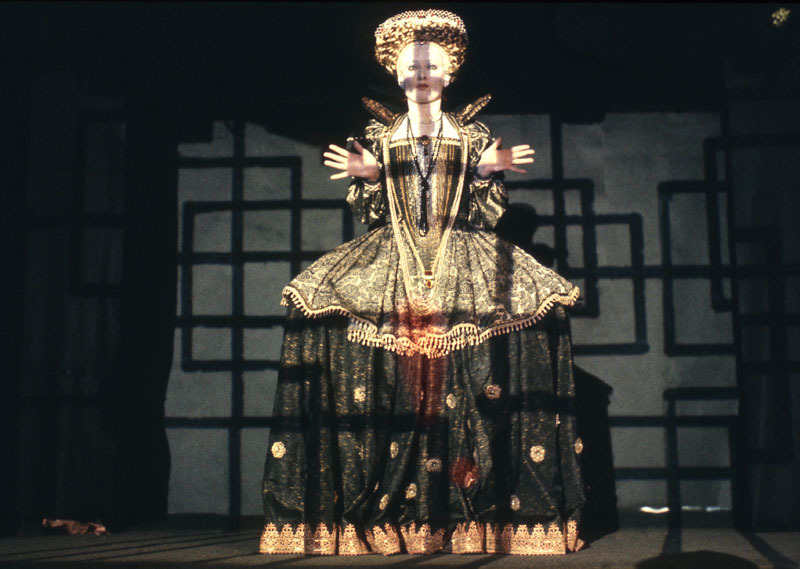 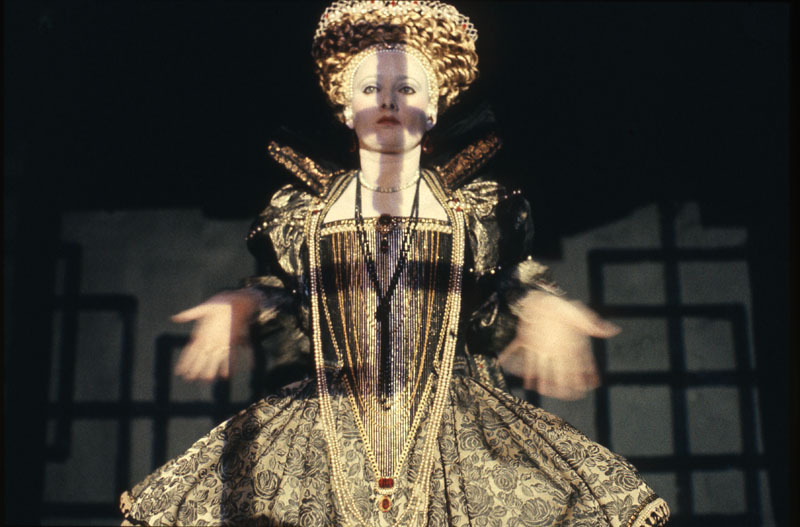 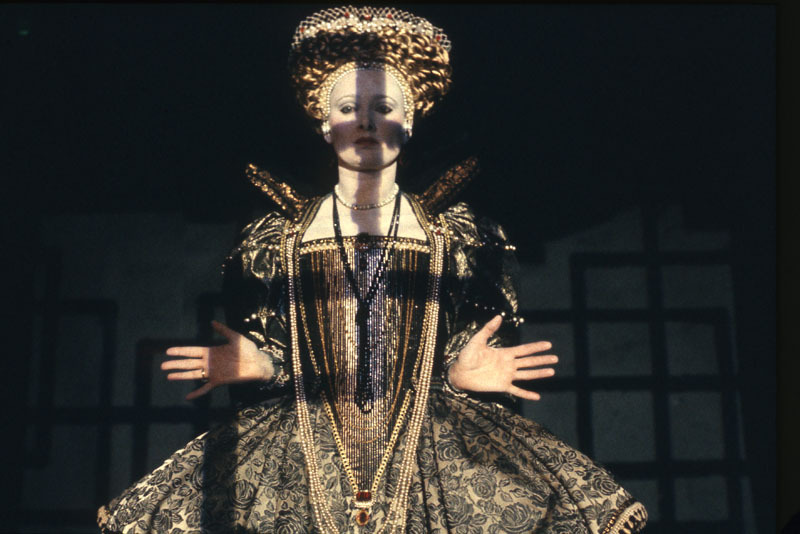 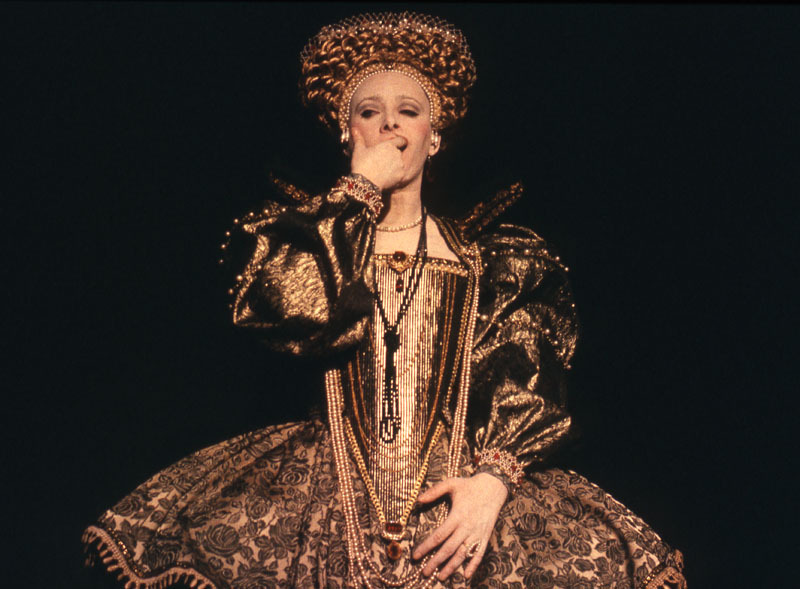 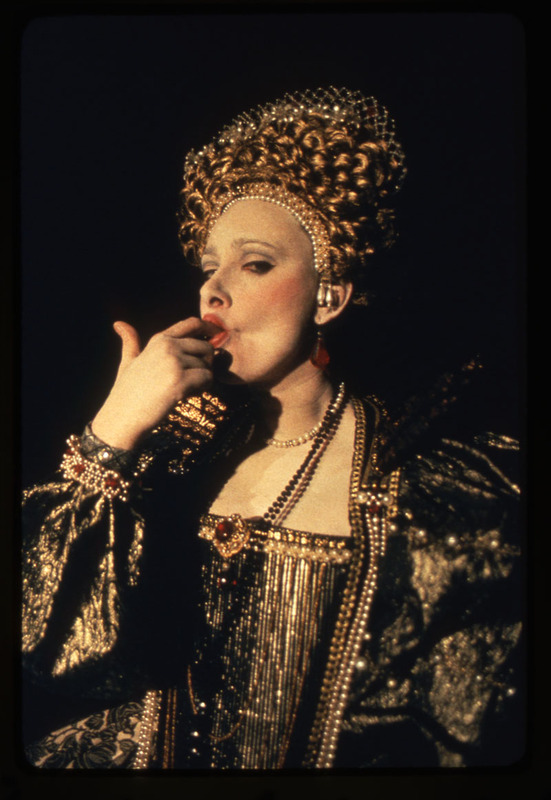 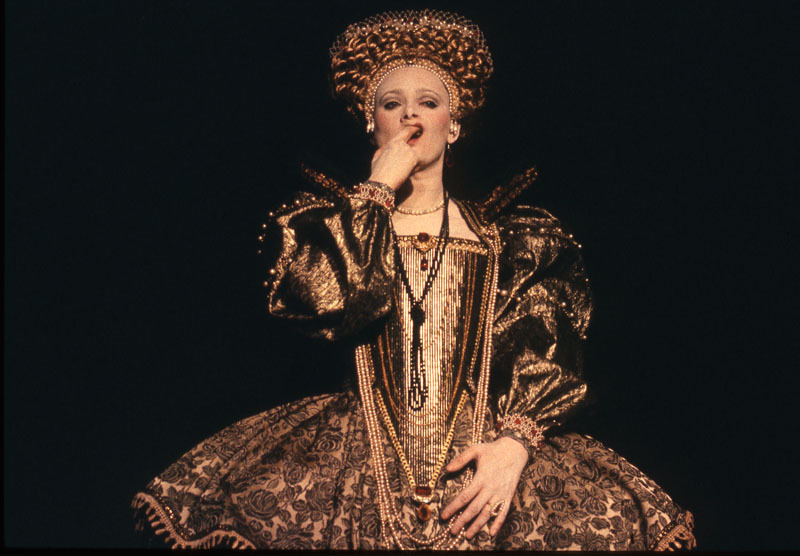 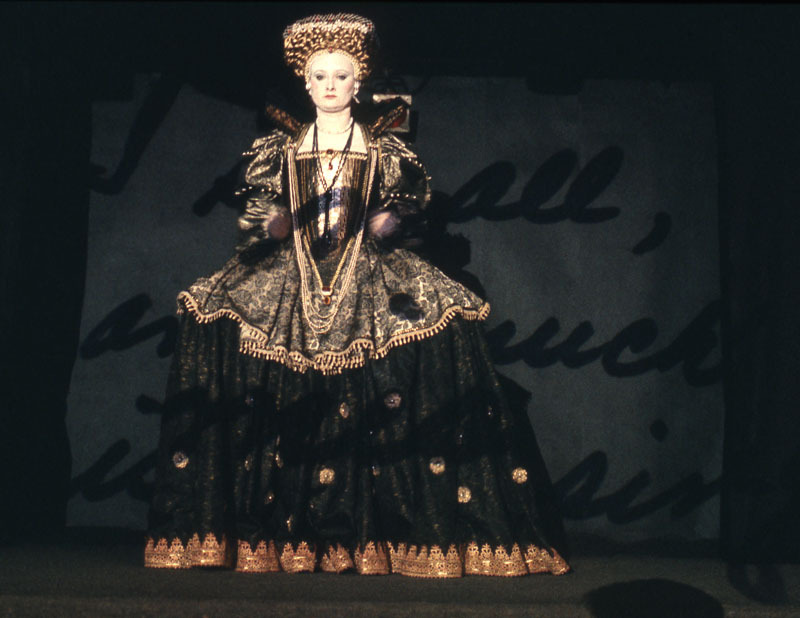 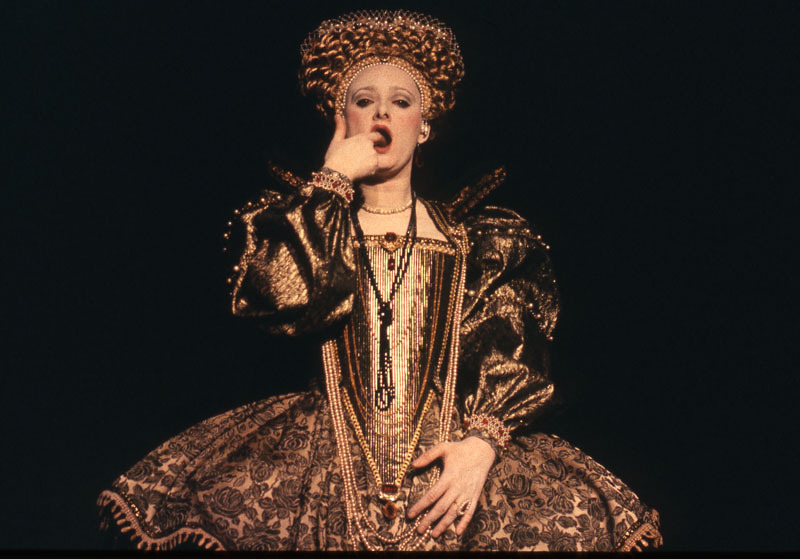 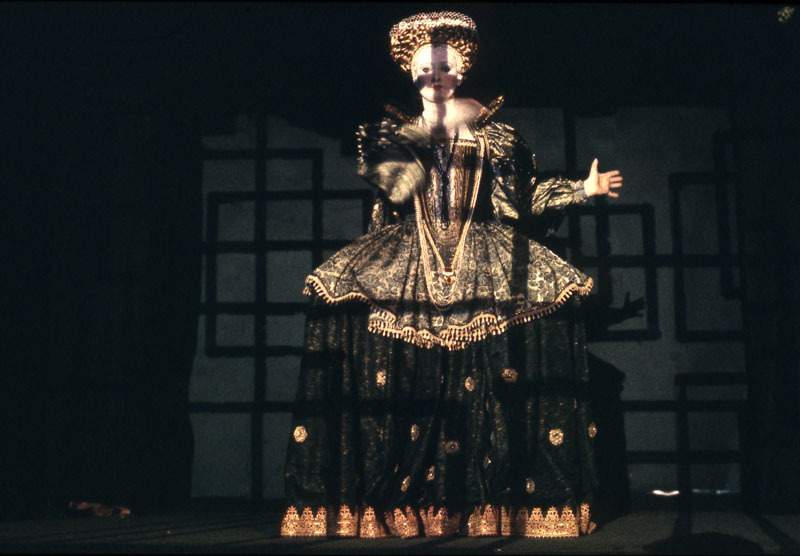 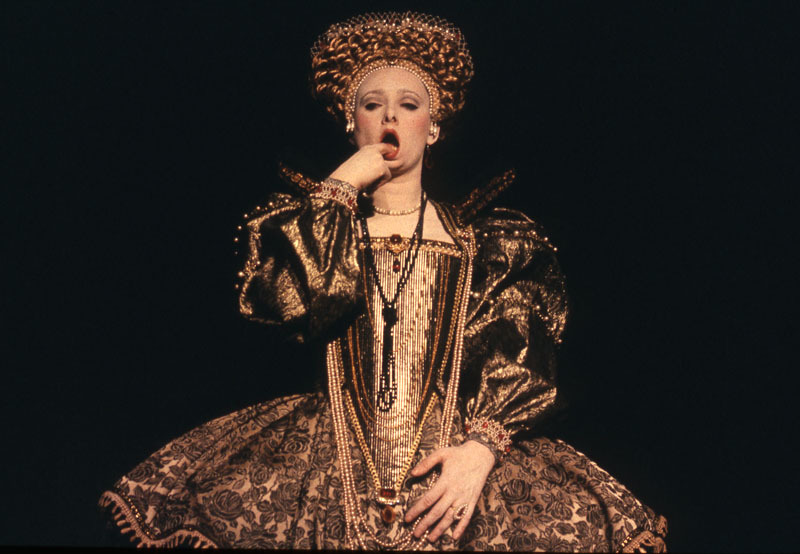 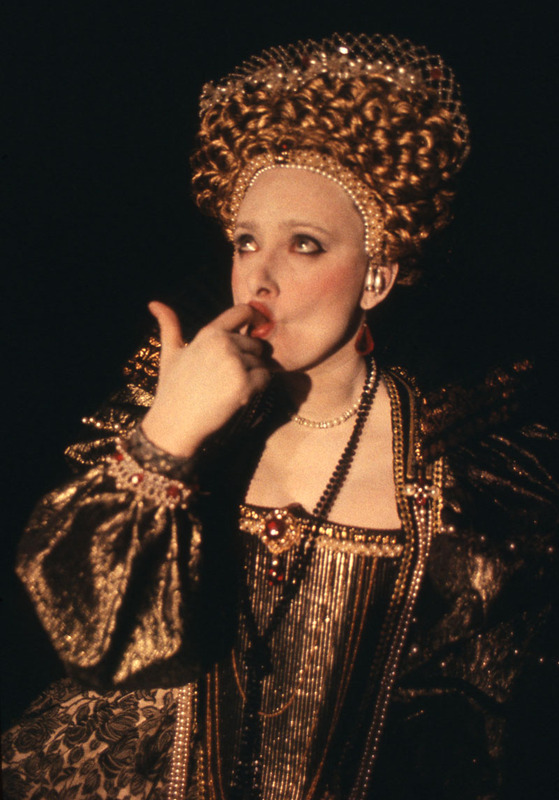 In this first of the “Women and Power” trilogy of performances, Tanya Mars used Queen Elizabeth I as an historic icon and archetype. 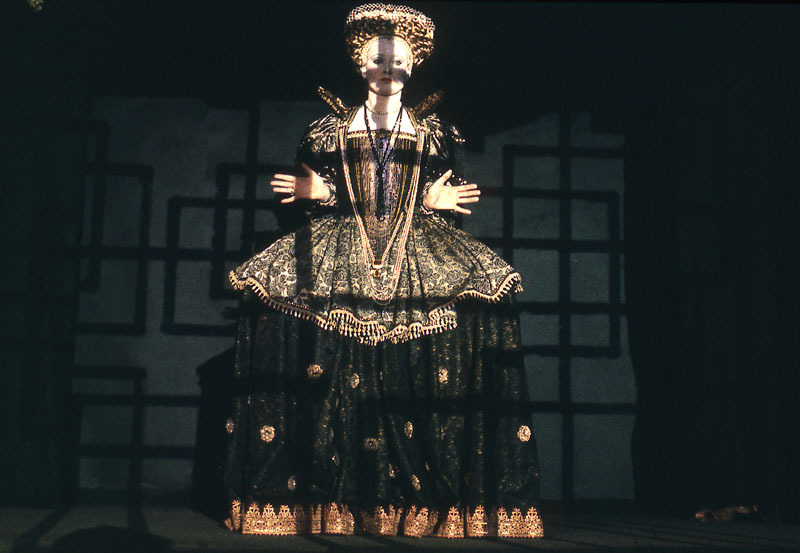 Rather than presenting Queen Elizabeth accurately, Mars appropriated her image to explore the paradoxical conflict between the Queen’s political power and her constraining, Elizabethan dress, and the difficulties experienced by women in trying to balance their sexuality and their ability to maintain political independence and autonomy. 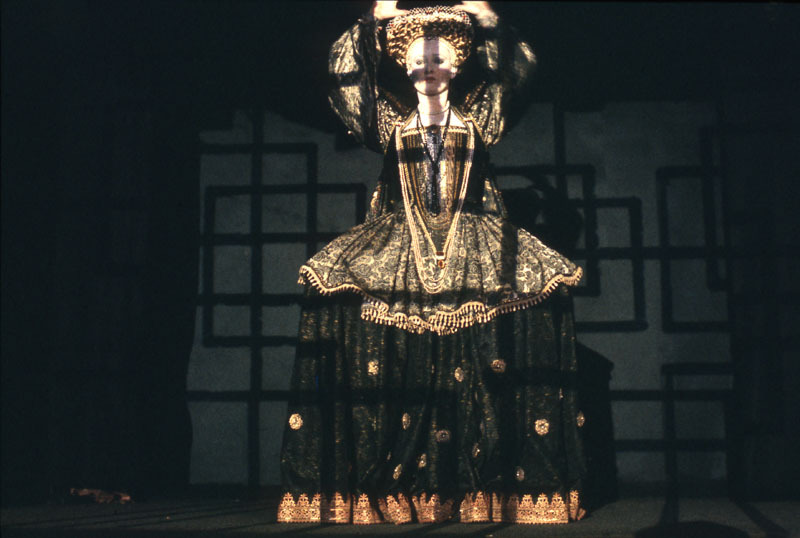 Presented in four five-minute segments with live orchestra, this performance used an economical, cabaret-style format, with minimal props and set design, to construct a symbolically layered and highly charged interrogation of the socio-sexual position of women and their claims to empowerment.